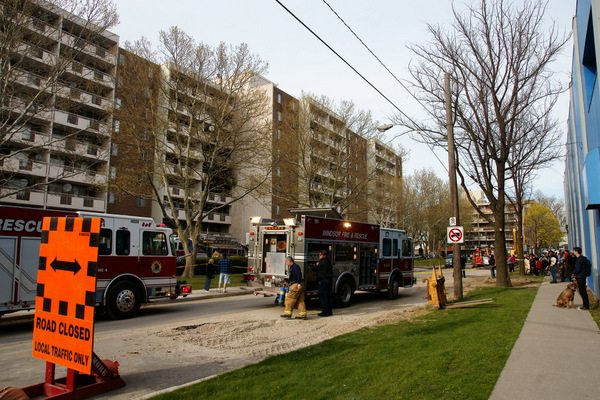 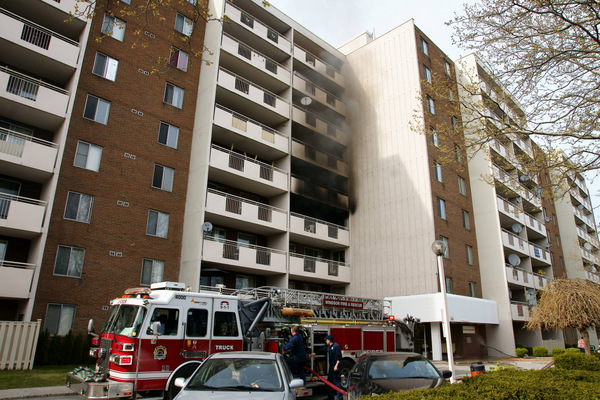 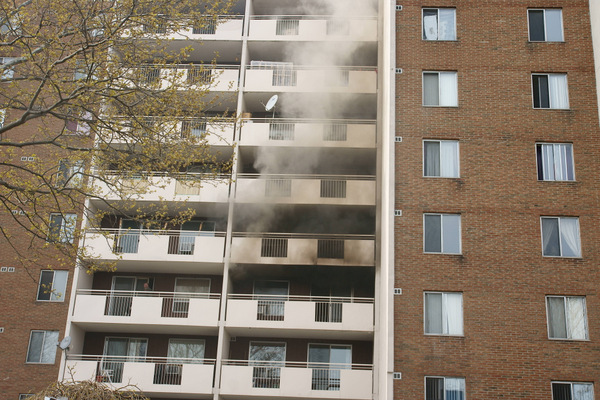 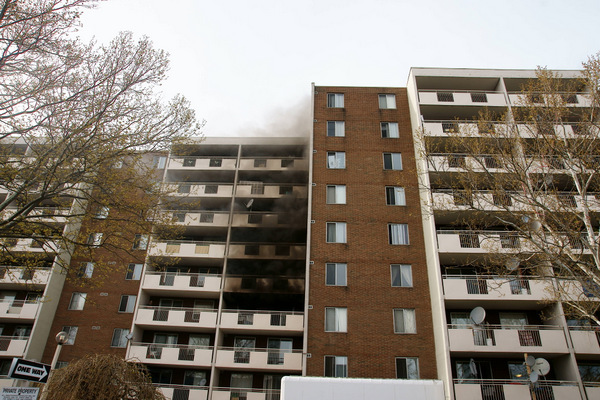 Windsor Firefighters are the scene of an apartment fire at 350 Elliott Street East. 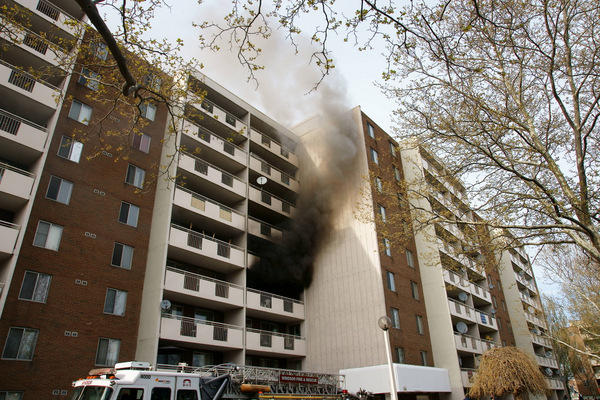 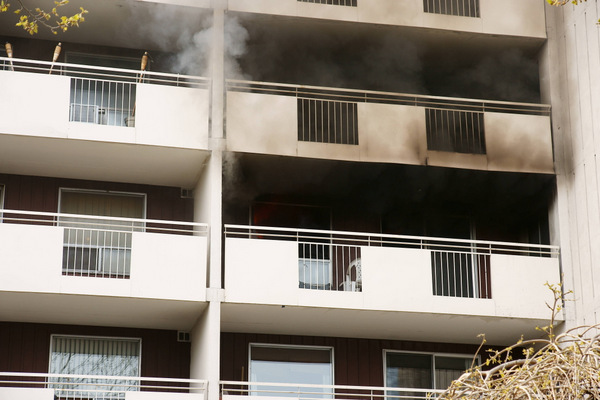 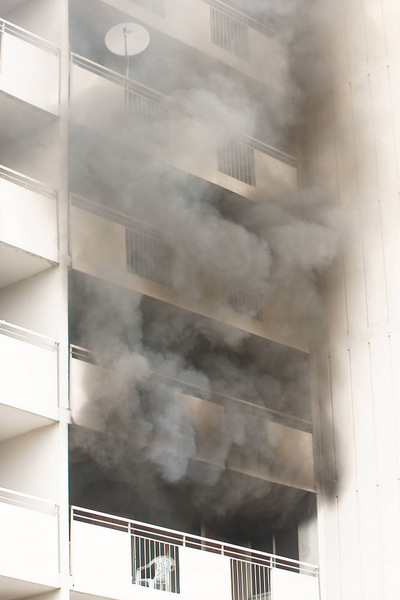 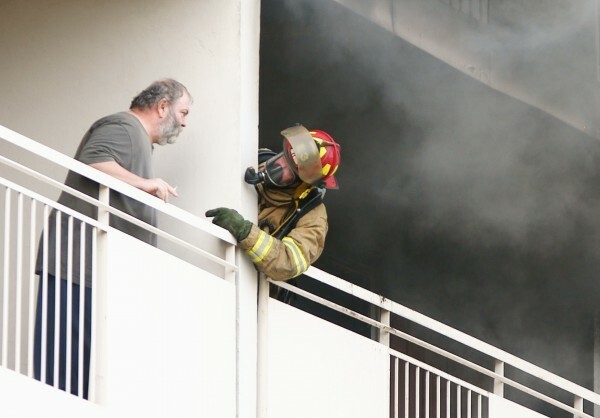 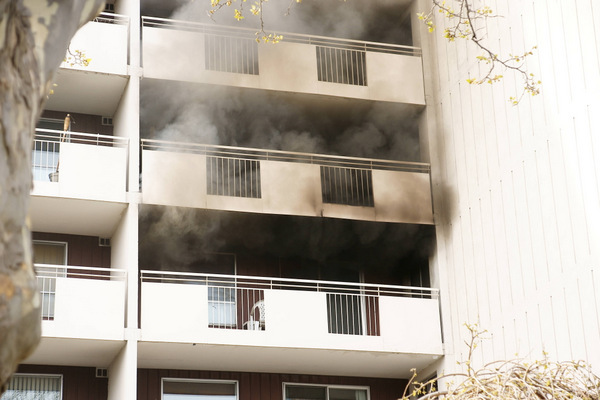 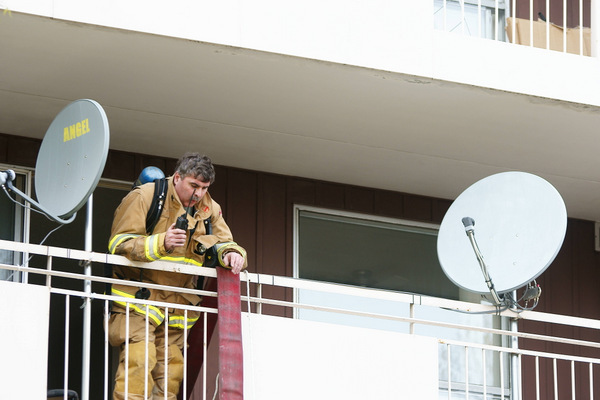 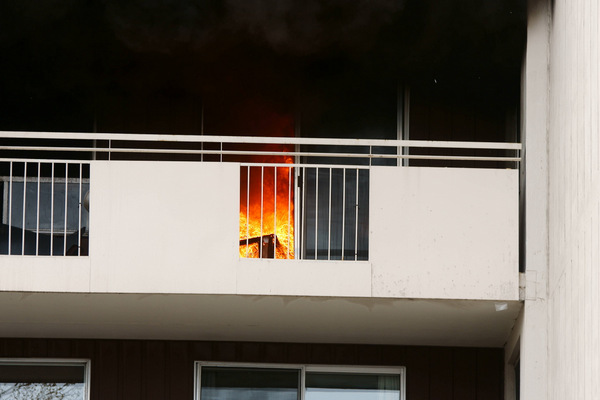 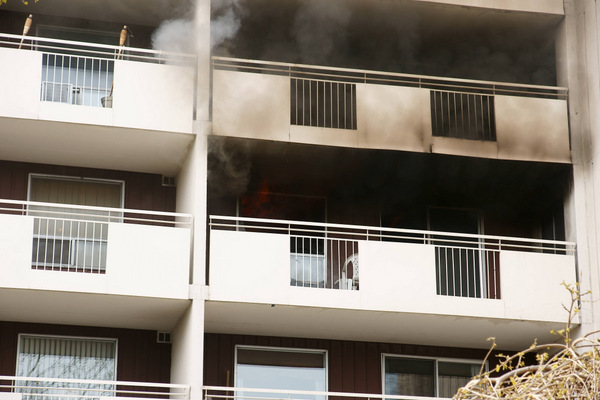 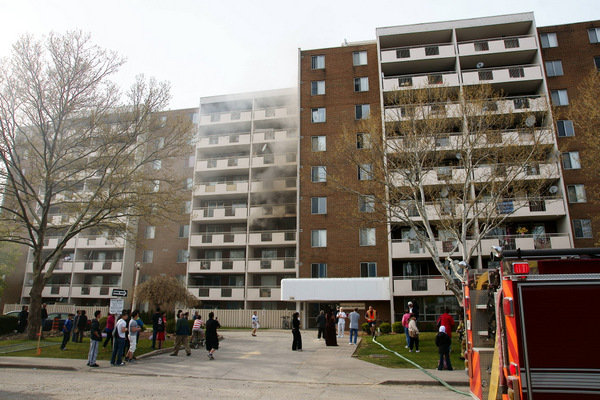 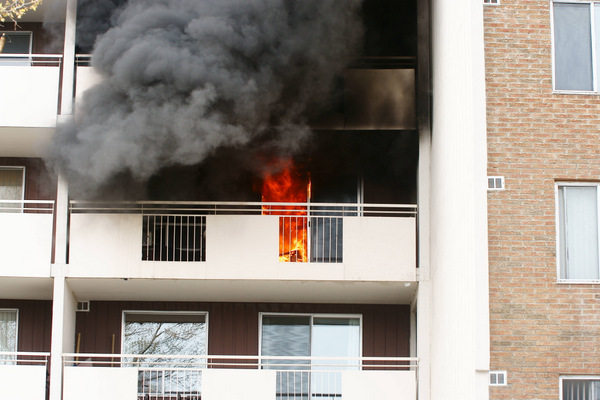 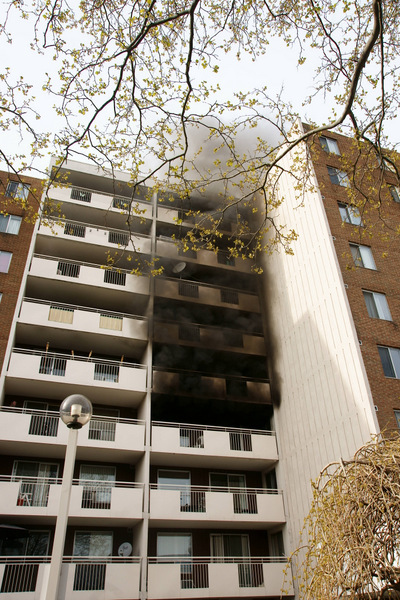 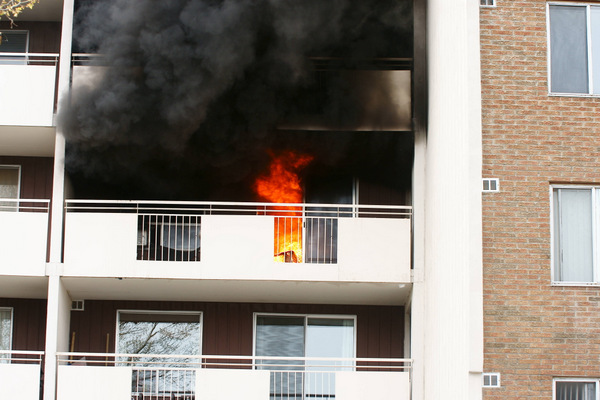 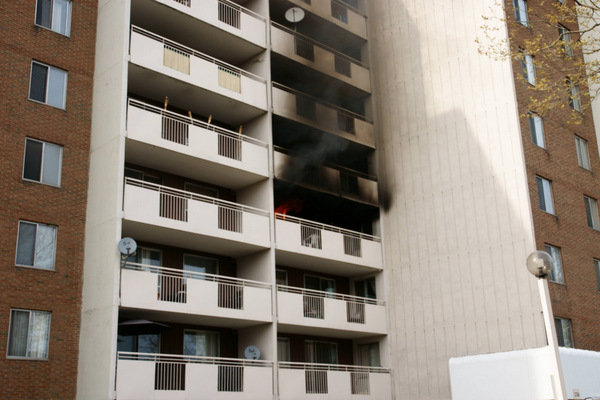 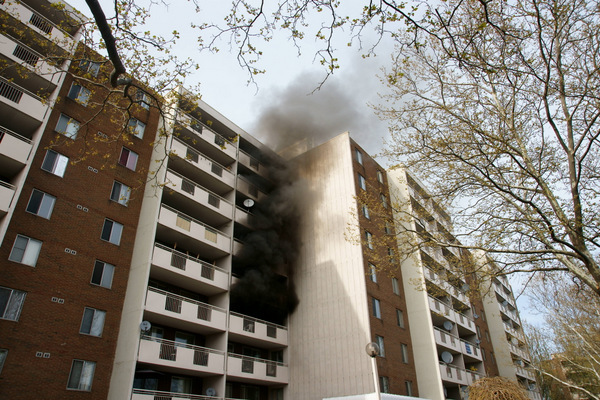 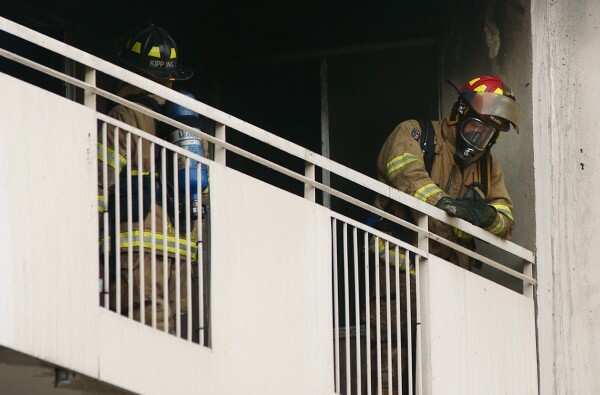 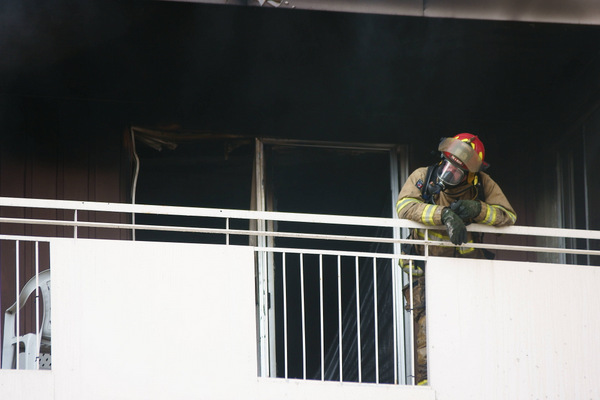 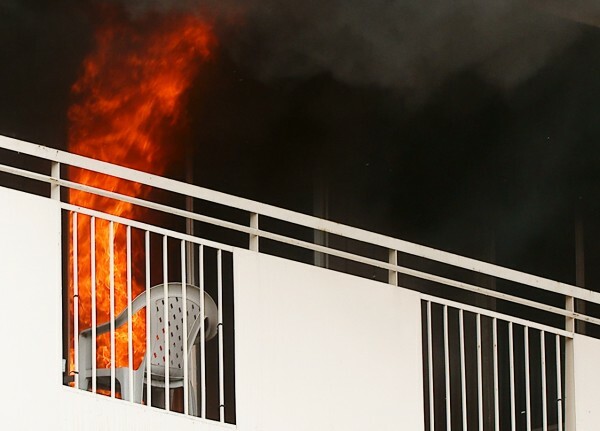 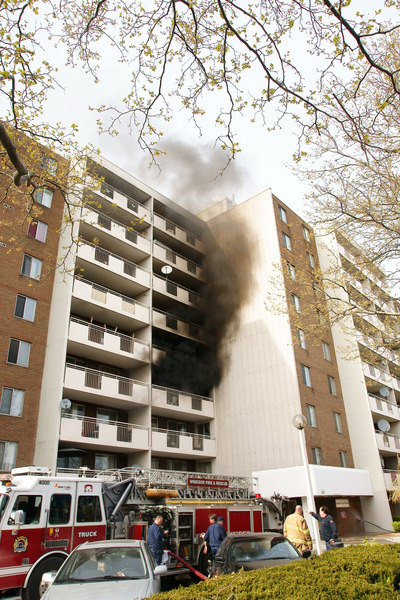 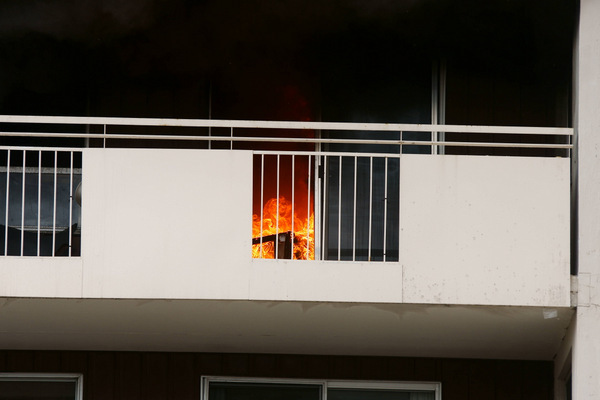 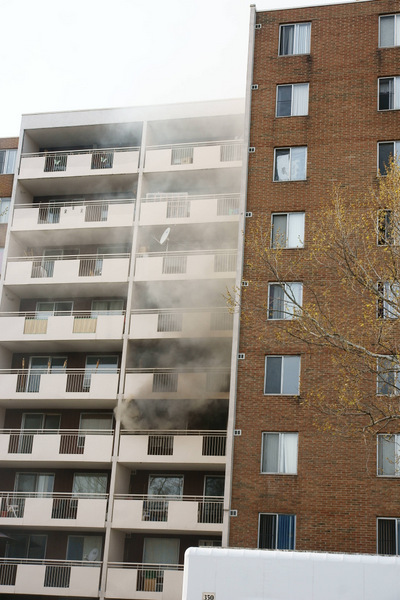 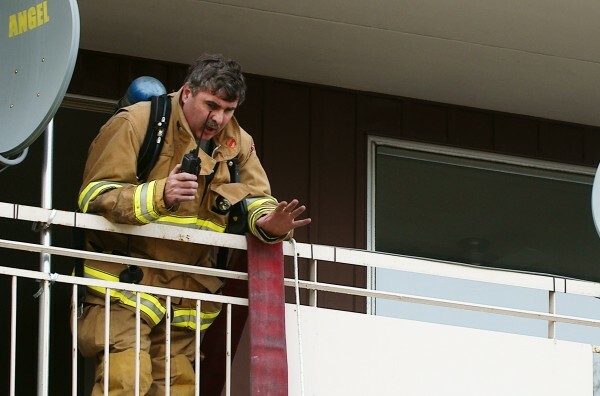 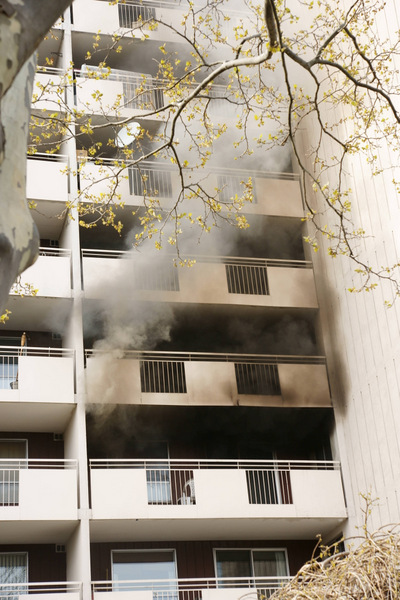 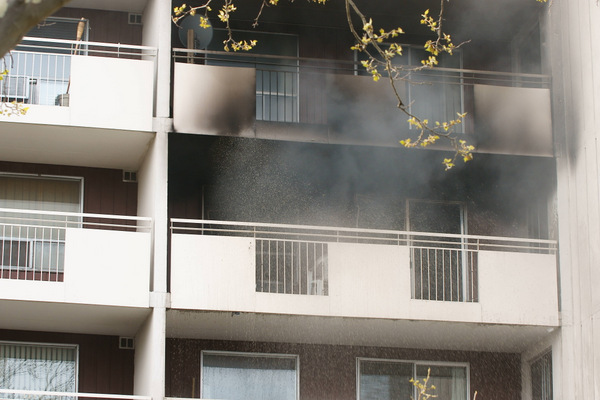 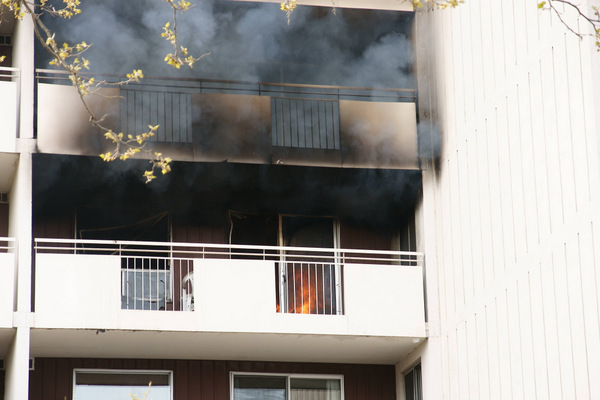 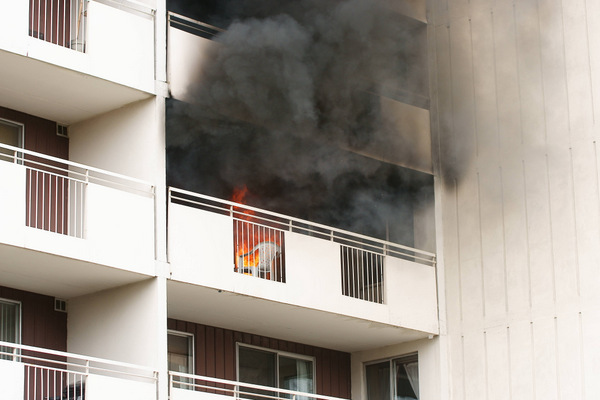 Heavy fire and smoke broke out around 5:15pm on the 4th floor of the building, startling residents who gathered on the front lawn of the eight-story building. 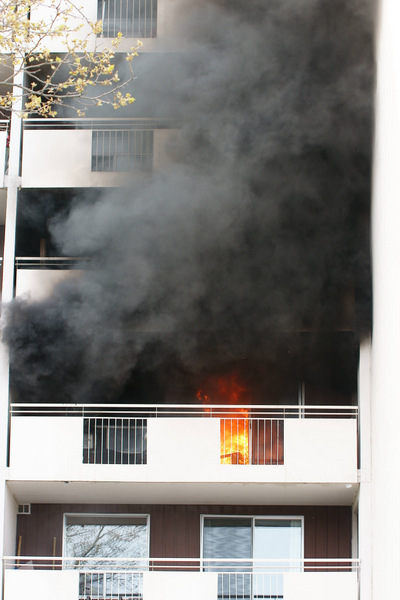 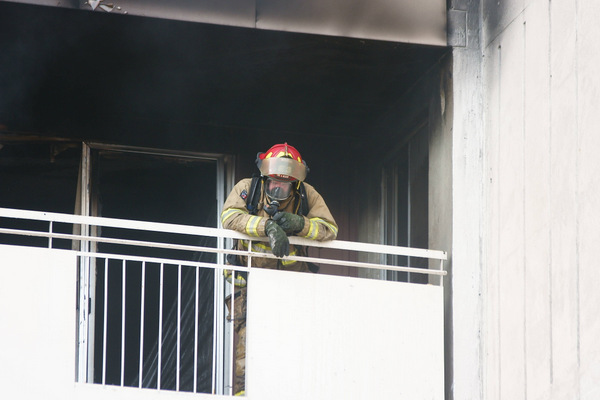 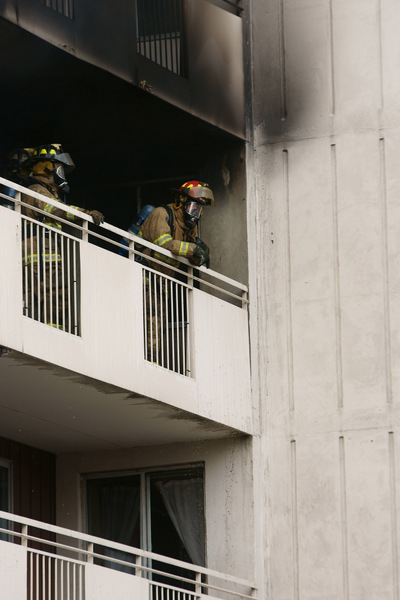 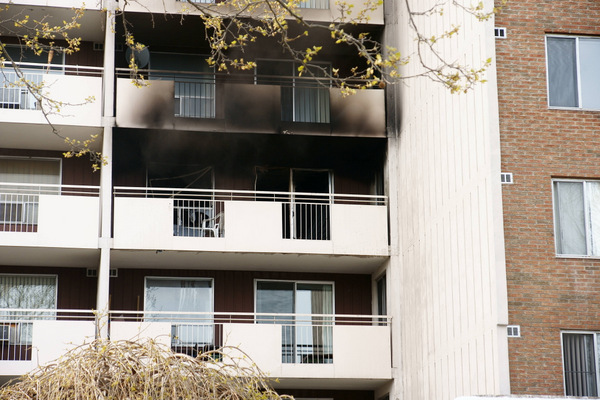 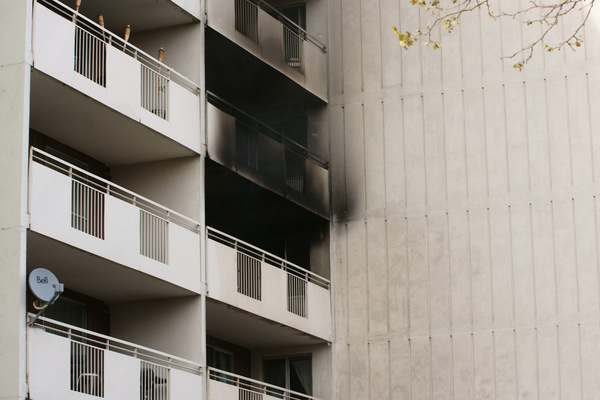 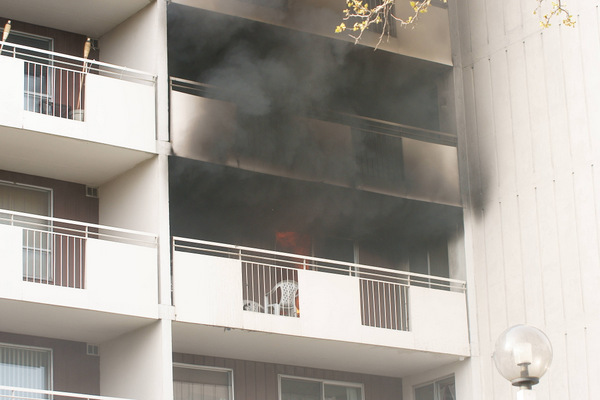 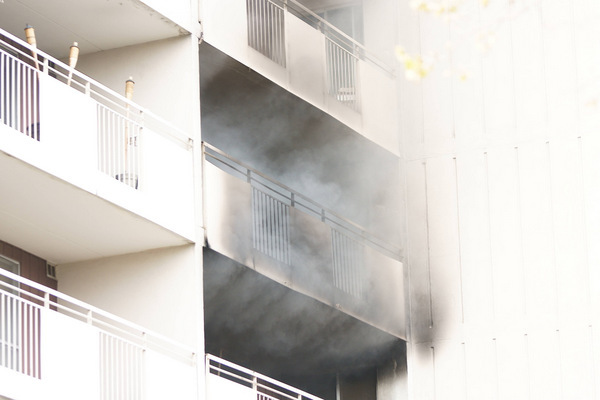 Fire spread down the hallway and onto the balcony of the unit that the caught fire. 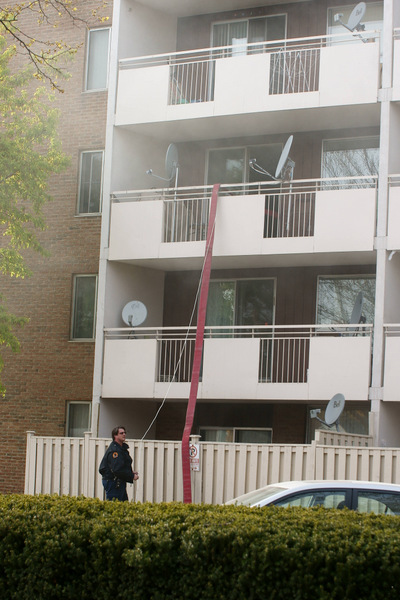 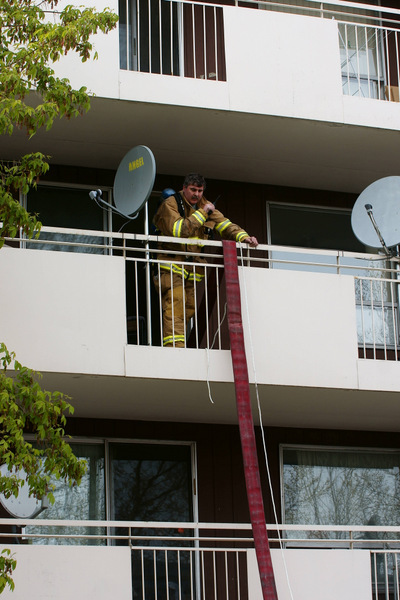 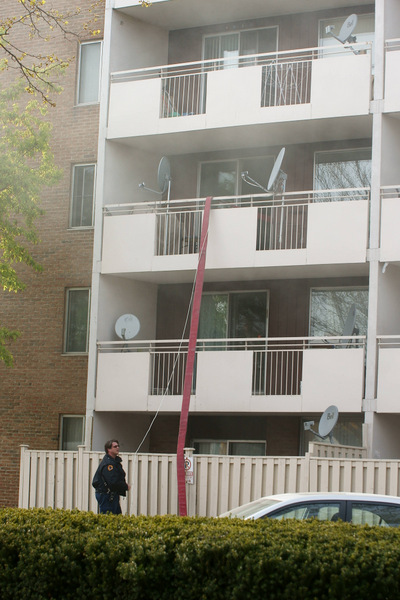 Firefighters struggled with an apparent malfunctioning fire hose cabinet in the building and had to run a fire hose up to a balcony a few units over on the 3rd floor. 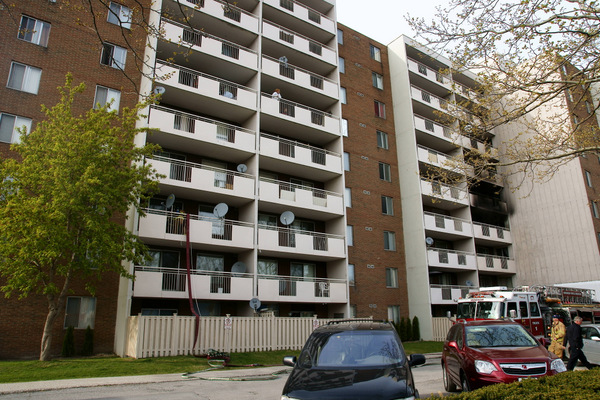 Windsor Police report that the fire is not suspicious and that the cause was accidental by a pot of oil on a stove. 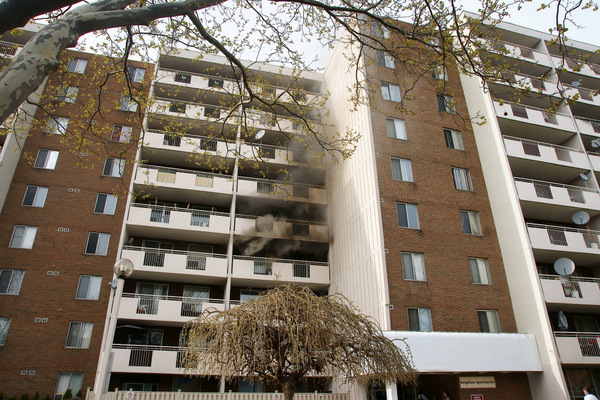 There is one current report of an injury: a woman was carried by firefighters down the rear stairwell with smoke inhalation. 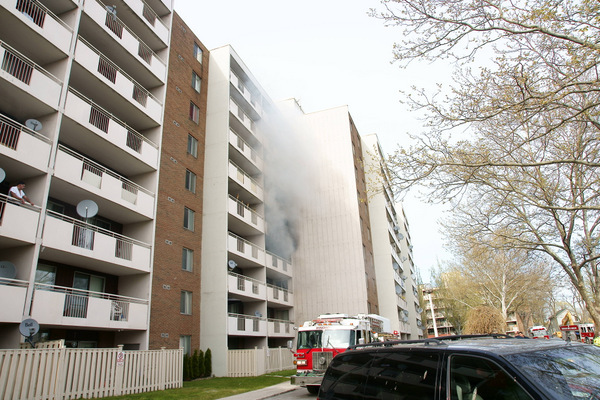 At the time of publication, fire is out.